In this talk Gurumayi Chidvilasananda speaks about the mysterious power of chanting and explains how its regular practice inspires and transforms a seeker’s perception of daily life. “Sing and see what happens to your heart,” Gurumayi Says. “Singing in praise of the God connects one place to another, one heart to another. Chanting generates a tremendous inner power that dissolves worry, calms the mind, and releases great joy. 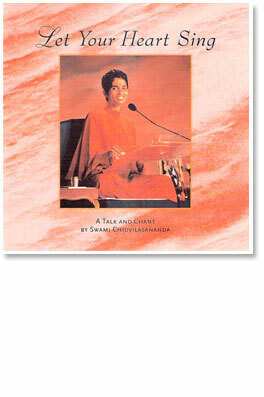 At the end of this recording, we have an opportunity to let our heart sing as we chant Govinda Jaya Jaya with Gurumayi.